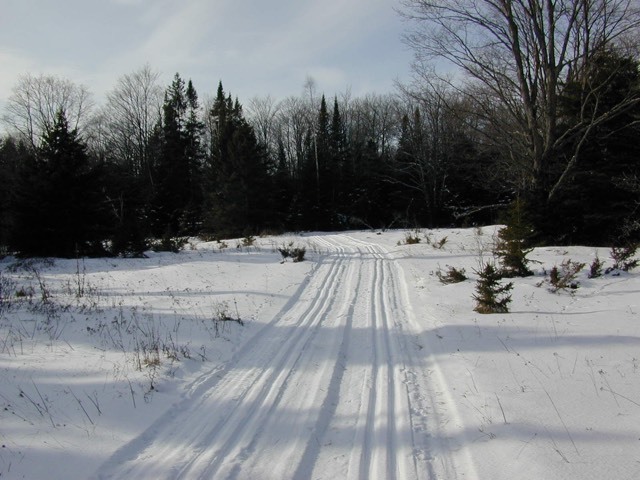 Cross country skiers can enjoy outdoor beauty and serenity during the winter on groomed ski trails, catching glimpses of deer, fox, coyote, rabbits and a variety of birds who call Drummond Island their home. Drummond Island Resort grooms 15 miles of trails on our own private property for classic-style skiing. They also have top-of-the-line rental skis for adults and children that are available to our guests free of charge. There’s also opportunities for snow shoeing during the winter. Drummond Island Resort has several sets of Iverson traditional-style snowshoes available for rent, but for guests they are free. There is no better way to see undisturbed winter scenes on the island than on a set of snowshoes. With a little cooperation outside, we hope to have a rink cleared behind The Lodge for skaters. Again, snowshoes and ice skates are available to our guests free of charge. 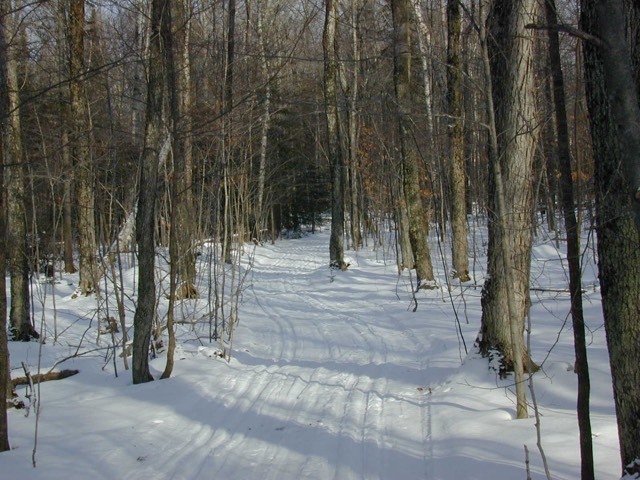 The Rainbow Trail was developed in 2002 by the Drummond Island Cross Country Club as a nature trail with groomed cross country skiing in the winter (only skiing, no snowshoeing) and walking, hiking and birding in the non winter seasons. Located on state land on the west side of the Maxton Cross Road just south of Maxton Road, this trail is 5.0 miles long. Laid out over rolling terrain, through open spaces and hardwood forest, the main trail has a series of seven loops off of the “Main Street” and back to it again. There are three short trail segments that serve to interconnect the loops, making it easier to return to the trailhead for shorter excursions or provide variety for extended trips. The trailhead is located on Maxton Cross Road, 0.2 miles south of the intersection of Maxton Cross Road and Maxton Road. Parking is available at the trailhead. Bathroom facilities are not available at the trail but are available at nearby Four Corners and The DI Resort and Conference Center. 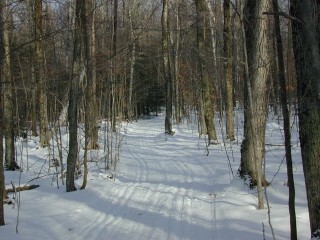 The Heritage Trail, located at the DI Township Park, is a hiking and snowshoe trail. 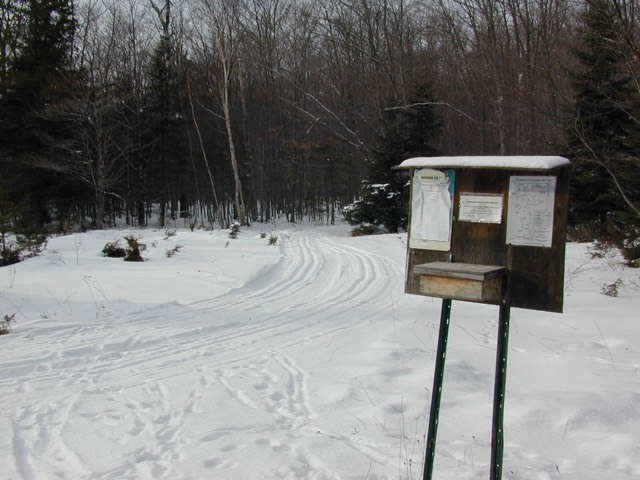 It provides a unique experience for; birding, hiking or geocaching in the warmer months and snowshoeing, over terrain not suitable for skiing, in winter. Trail use is FREE. The Lower Level leads you through beautiful woodlands to the Potagannissing shoreline. The Upper Levels wind along and up on to the top of unique limestone ledges and shallow caves. There is a great variety of landscape for a trail of this size, (approximately 3 miles) and a drop of over 50 feet in elevation from the upper to the lower levels of the trail. The majority of the trail can be hiked or snow shoed easily by the novice but the upper levels of the trail require some moderate ability to traverse very uneven terrain.